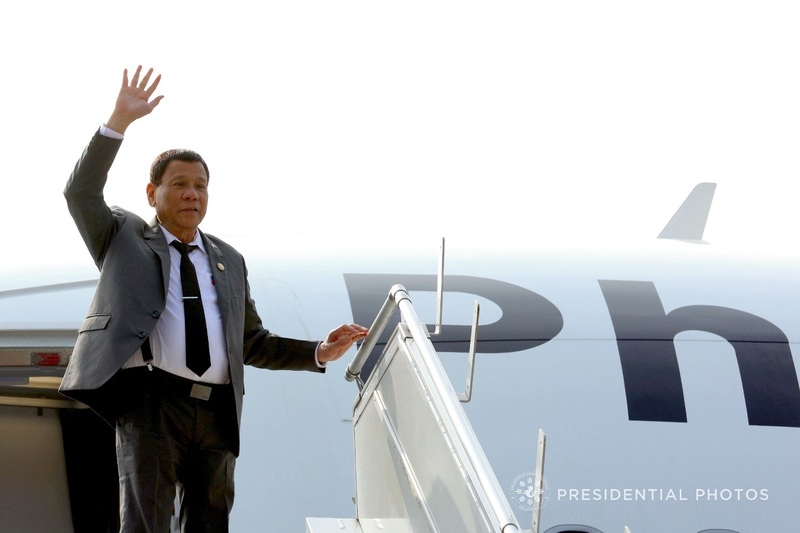 President Rodrigo Duterte is set to arrive in Bohol on Thursday in what will be his second official visit to the island-province since he was elected in 2016. This was confirmed by Communications Secretary Martin Andanar, who was in Bohol earlier this week, in an interview with the Chronicle. Duterte is slated to keynote the 25th national convention of the Vice Mayors’ League of the Philippines (VMLP) at Bellevue Resort in Panglao on Thursday which is the second day of the three-day confab. According to Tagbilaran City Vice Mayor Toto Veloso, presidential daughter and Davao City Mayor Sara Duterte is also expected to address the VMLP during the convention’s opening ceremonies on Wednesday. Other guests of the convention are Special Assistant to the President Bong Go, Presidential Political Adviser Francis Tolentino and Ilocos Norte Gov. Imee Marcos, all senatoriables in next year’s elections. At least 1,600 vice mayors will be attending the convention, said Veloso who is also the event’s director. The convention will be led by VMLP National president Donnabel Joy Mejia, the vice mayor of Magsaysay, Davao del Sur. She will introduce Duterte, who is set to speak during the plenary session of the national convention Thursday afternoon. A fellowship night party will cap the day. However, it could not be confirmed if Duterte will still join the night’s affair. Harry Oh of the government of South Korea will deliver a solidarity message during the fellowship party. Go, Marcos and Tolentino will also speak at the fellowship night. The convention of vice mayors will also have Asec. Marcial Amaro of the Department of Environment and Natural Resources and Director Odilon Pasaraba of the Bureau of Local Government Supervision, Department of Interior and Local Government. Amaro will talk on environmental crimes, enforcement of environmental laws, compliance, and accountability.